Charles S. Lowery, Ph.D. is President and CEO of Lowery Institute for Excellence, Inc., a non-profit educational organization. Dr. Lowery’s diverse background includes private practice, college professor, management consultant and corporate motivator. Charles’ unique style of humor, encouragement, and motivation has made him one of the most sought after speakers in the country. For ten years he was pastor of Hoffmantown Church, which was one of the fastest growing churches in America. Hoffmantown baptized over 3000 people during his ten years there. Dr. Lowery holds a Doctor of Philosophy in Psychology from the University of South Carolina, and he has completed post-doctoral work at Columbia International University. LIFE, Inc. offers practical and helpful conferences that assist each person in achieving his or her full potential. LIFE, Inc. also provides resources addressing a wide variety of subjects. Dr. Lowery resides in TX with his wife Penny. They are the parents of three daughters and are grandparents. Do you feel you’ve sometimes blown it as a parent? You are not alone. Parenting may be the toughest job in life… especially in our modern-day, always-connected society. Parents know, when there is a problem with a child, the whole family suffers. Do you want to experience opportunities to make things right in your family relationships? You are not alone. In this series, Charles teaches timely, practical solutions that apply timeless, Biblical principles to problems we all face in parenting. If you are a new parent, an old parent, a potential parent or grandparent heavily involved your grandchildren’s lives, you will learn invaluable lessons from this series. We’ve all been there. Addicted to something. You may be struggling with an addiction of some kind right now. Sometimes we’re even addicted to good things. But any addiction that controls us and our behavior is unhealthy. Most of us want to live a healthier life, we just don’t know how. We tend to trip over ourselves on the way to happiness. For many years the 12 Step Program has been an incredibly successful vehicle for change. In this eight part seminar you will learn to apply these principles from God’s perspective in a way that can help you in all areas of your life. Recovery and restoration is a process… a journey if you will… and you will experience incredible growth as we journey down this road together. On this trip Dr. Lowery’s humor and practical style provides a roadmap that is easy to follow. Do you ever wonder why you’re so normal and everyone else is so weird? Good relationships take work and it is our job to learn the skills that can make our relationships soar. Relationships that last are those that consistently make small deposits of good things… God things… in the other person’s account on a regular basis. What are the good things? This seminar is full of ’em. The principles you’ll learn will be like receiving a large relational inheritance that you can draw on for years to come. Learning to integrate life skills like longevity, closeness, listening, resolving conflict, and building a firm foundation will help you make regular relational deposits. The kind of deposits that earn compound love and enrich your relationships beyond measure. No matter where you are… no matter what the relationship… this seminar will teach you Biblical principles of partnership. And… you will come to understand that your most valuable partner is God. Do you feel like you are all stressed up with nowhere to blow? We live in a fast-paced, stressed-out world that can easily roll right over us. Everyday the world rolls over on someone who was formerly sitting on top of it. This seminar unpacks principles about how to use good stress and reduce the bad stress in life. You’ll understand how God wants to exchange our stress for His strength. You’ll see that He wants us to relax, wait, and add margin to four distinct areas of our lives. Ultimately, you’ll understand that the key to reducing stress in life is realizing that you do not… never have… and never will… run the universe. God’s in charge, and when we learn to take God seriously we don’t have to take life so seriously. Have you noticed that you’re just a little bit different from the people around you? Understanding how different people think, learn and relate to those around them gives us great insight into how to communicate successfully. The Myers-Briggs Type Indicator is the most widely used management tool in America and Dr. Lowery is a certified trainer. In fact, he’s used this tool to train leadership in major corporations, build unity and purpose in churches and bring harmony to families that just felt out of tune. Dr. Lowery will give an abbreviated version of the Myers-Briggs Type Indicator to all that attend and interpret the results with information about the various personality types and how each relates to the other types. The sessions are insightful, hilarious, and long-remembered after he’s gone. Dr. Lowery is often available to stay over (schedule permitting) after these events and conduct a staff development seminar using the Myers-Briggs. Charles Lowery is one of the most creative communicators of the 21st century. He is an out-of-the-box thinker in a cookie-cutter world. He speaks to the hearts of people through his insightful teaching, humor and practical life principles. We’ve had him as our guest speaker over a dozen times and we can’t wait for the next time! Thank you for delivering your life messages to Prestonwood. Only eternity can measure the full impact of your ministry but please know how grateful we are for your strong, vibrant witness of God’s Word. Thank you for your friendship and being available for God to use you. You are loved and appreciated. Dr. Charles Lowery is an engaging and creative communicator. His work as a pastor and Christian psychologist has given him the platform to encourage and motivate people. His humorous approach to life will keep your congregation on the edge of their seats. I have the greatest appreciation an love for Charles and Penny Lowery, as well as for the ministry entrusted to them by God. Charles Lowery connects with his audience to give biblical truth in a funny, relevant, and applicable way! Our church loved him! He encouraged, instructed, and challenged our people in a very unique way. His conversational communication style relates to both believers and non-believers alike. He appeals to the young and old as well as married and singles. You’ll laugh and perhaps cry when you hear him speak. But rest assured, if you listed and apply, your life will be changed. 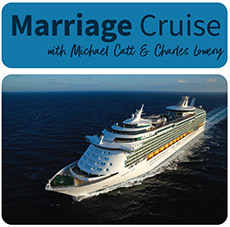 Charles Lowery is a witty, dynamic communicator who has a special way of relating to couples, whether young or old, whether in the “blissful” stage of marriage or in the stage when the problems of every day life takes a toll on the romance. He helps couples refocus their priorities and make recommitments that will strengthen their homes and marriages by using humor, personal stories and illustrations. But most importantly, he presents God’s word which, when applied, strengthens and builds-up those Christian homes. That not only please the Lord, but our society so hungers for those kinds of marriages. I believe Charles Lowery’s marriage series will be a blessing to you. I enthusiastically recommend Dr. Charles Lowery for speaking engagements in church, business, or any other forum. He combines wisdom and hard-hitting humor in such a strategic way that the pill goes down every time! As a regular guest speaker at Fellowship of the Woodlands, Charles has kept our church in stitches while inspiring us to the next level of success in our families, our businesses, and our personal relationships. He is one of the most down-to-earth leaders I know. You can’t go wrong with Charles!